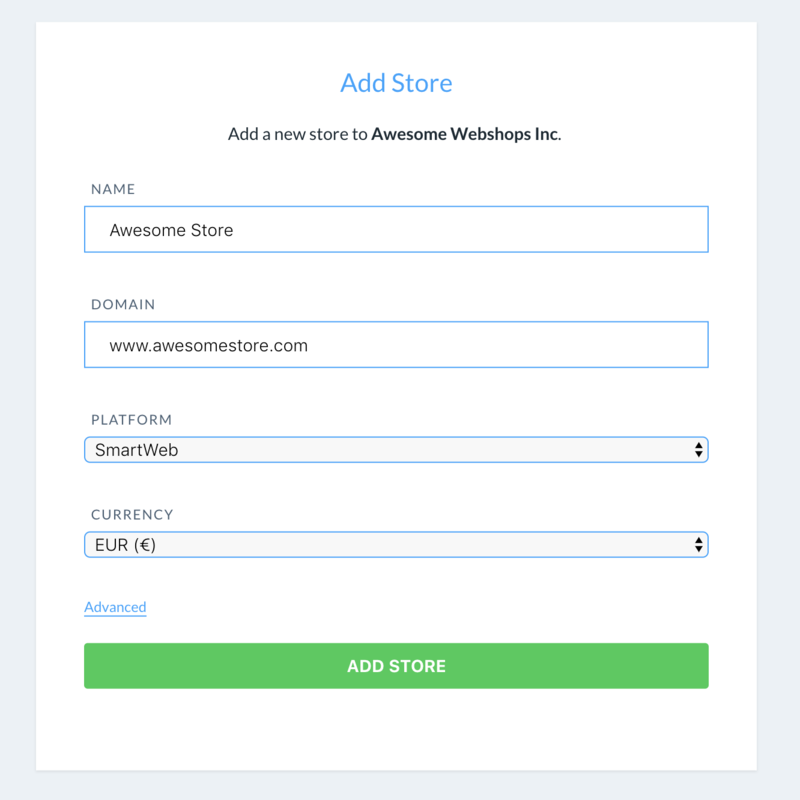 The first step of installing Clerk.io, is connecting your store with your Clerk.io account. 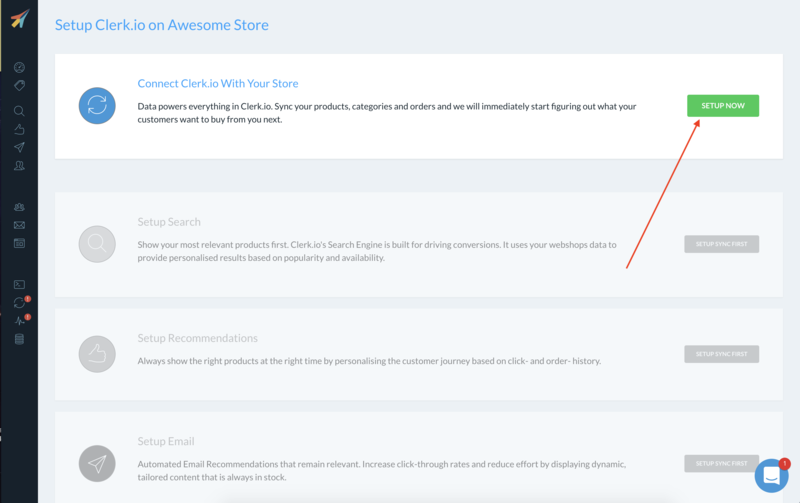 After following these simple steps you will be able to see your Live Demo, which gives you a personal overview of how Clerk.io will work on your webshop, before setting up the rest of the system. Choose SmartWeb as the Platform and choose your Currency. The next page shows what you need to do, to configure the SmartWeb feed. 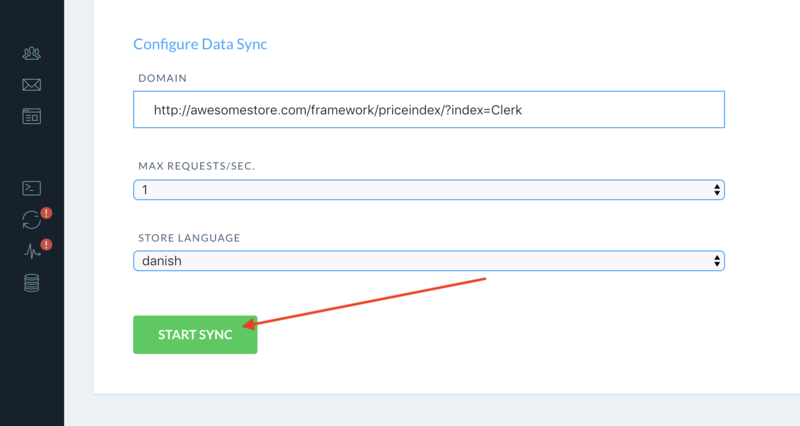 After allowing access, you simply need to synchronise your store. 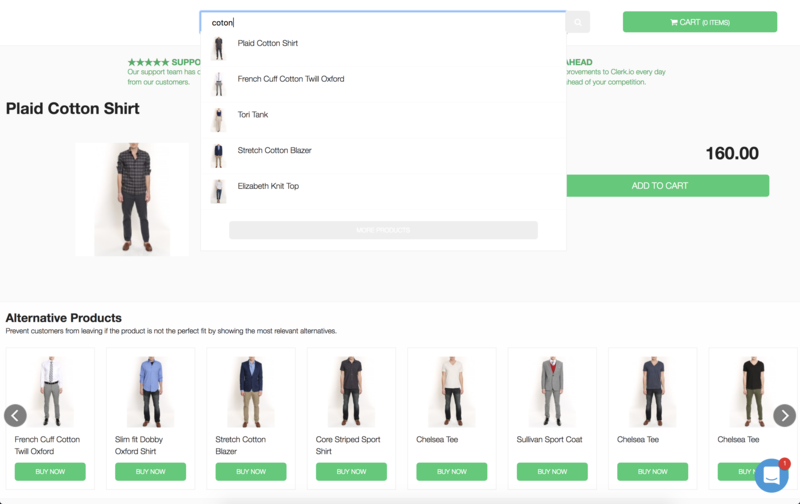 Clerk.io will now import your products, categories and sales.When its done, your store is connected. Good job! 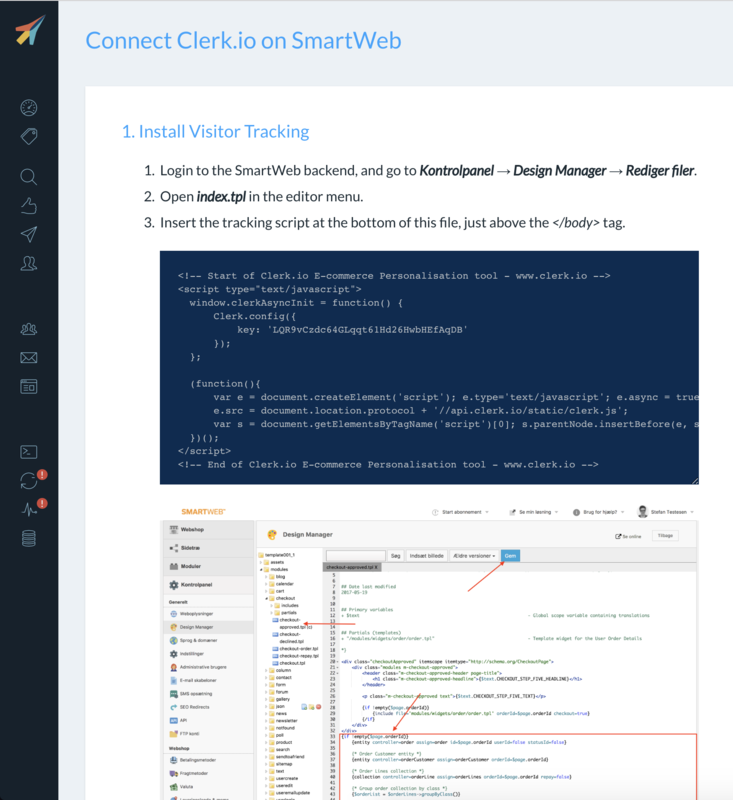 Now you can view your Live Demo or continue setting up Clerk.io. 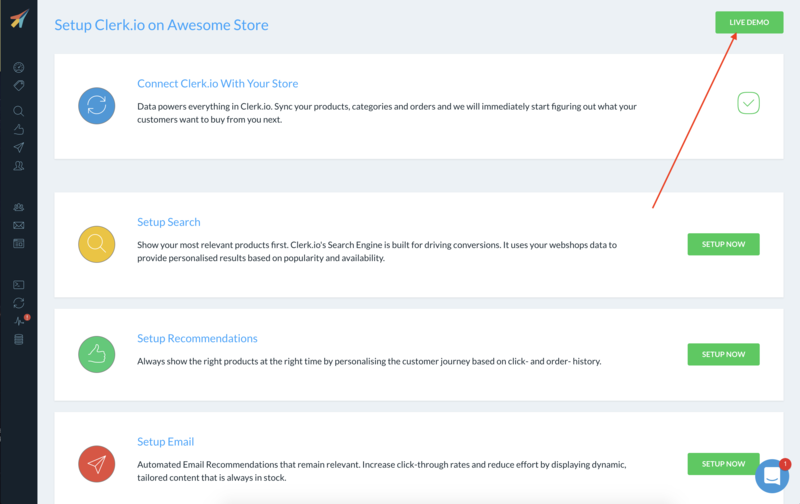 After connecting your store, you have access to your Live Demo, which displays Clerk.io working on your data.